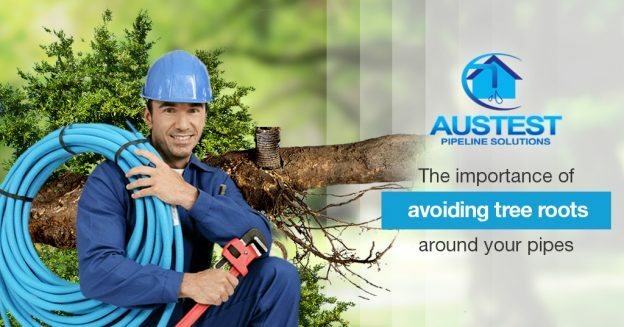 Any home or business is vulnerable to leaking pipes. 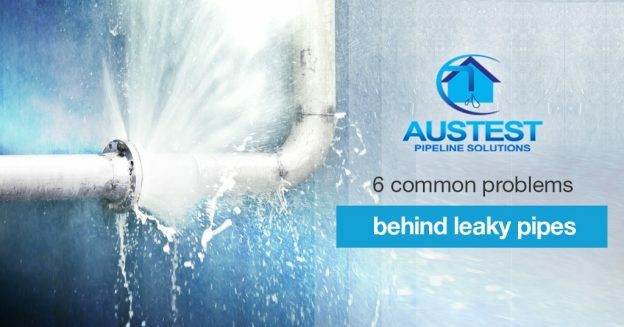 Understanding what usually causes these leaks will help you be prepared to deal with them promptly. Copper – More than half of all clean water pipes are made of copper because it is naturally resistant to corrosion. PVC – Polyvinyl chloride pipes (PVC) are flexible and durable which makes them practical for both clean water and sewage. ABS – Acrylonitrile butadiene styrene (ABS) pipes are a little stronger and more resistant to impact than PVC pipes. Most pipes have an average lifespan of 50 years and as they near this point, they develop weak areas that are prone to leaking. As plumbers install pipes, they connect straight pipes to elbows, tees, reducers and other pipe fittings to direct the flow of water or sewage. Every time a pipe connects to another pipe or fitting the joint is sealed with a special cement or resin to prevent leaks. Time and fluctuations of temperature cause the cement and resin in pipe joints to dry out, shrink and crack which can cause a leak. Elbow pipes are installed between two straight pipes to change the direction of the water or sewage. Elbow pipes create a 45° or 90° angle and withstand a lot of wear and tear as the liquid in them slows and changes direction. Some leaks are caused by elbow pipes that have worn to the point of cracking or pulling away from the straight pipes they are connected to. Water gains momentum and pressure as it travels underground in large water mains. Water supply networks are designed to slow the water and decrease its pressure to about 500 kPa as it leaves the mains and before it enters the smaller pipes in homes and businesses. Sometimes, though, the water doesn’t slow down as it should and the excess water pressure can damage ABS, PVC and copper pipes. Soil shifts for many different reasons. Rain causes it to swell and drought makes it shrink. Soil also shifts as organic compounds in it breakdown and are either absorbed by plants or washed away. As the ground shifts, pipes settle into new positions and sometimes it isn’t a good position. Perhaps the pipe lacks support underneath it or has too much weight on top of it. Either way, the pipe or a joint can be damaged and begin to leak. Hair, soap, food waste and mineral build up are just a few of the things that collect in pipes and clog them. Most clogs don’t make a pipe leak immediately. If they aren’t resolved, though, the blockage encourages water and sewage to stagnate in the pipe and this can permanently damage the pipe over time. Abnormal wet spots in the yard, stains on floors, walls or ceilings, and unexplained increases in water usage are all signs of leaking pipes. If your home or business has any of these signs, Call Aus-test. We specialise in finding and fixing plumbing leaks!